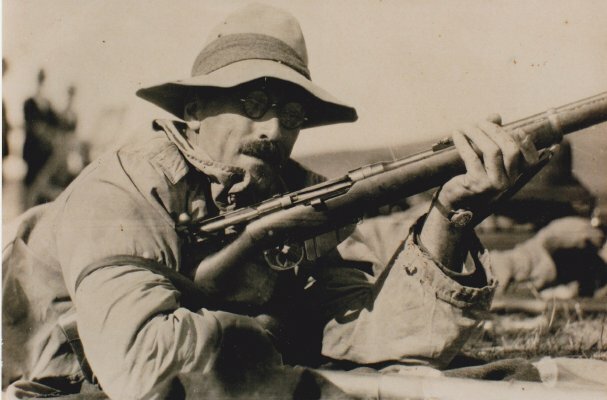 Description 2 x copies of sepia photograph of Willim Norris (Bill) Masefield during a rifle shooting competition. Captain W.N. Masefield had returned from fighting overseas in World War 1 by 19 January 1918 [source: Papers Past The Marlborough Express 19 January 1918].